-Increased growth is due to a range of factors, including improved supply and demand, better small business performance, and more accessible capital. 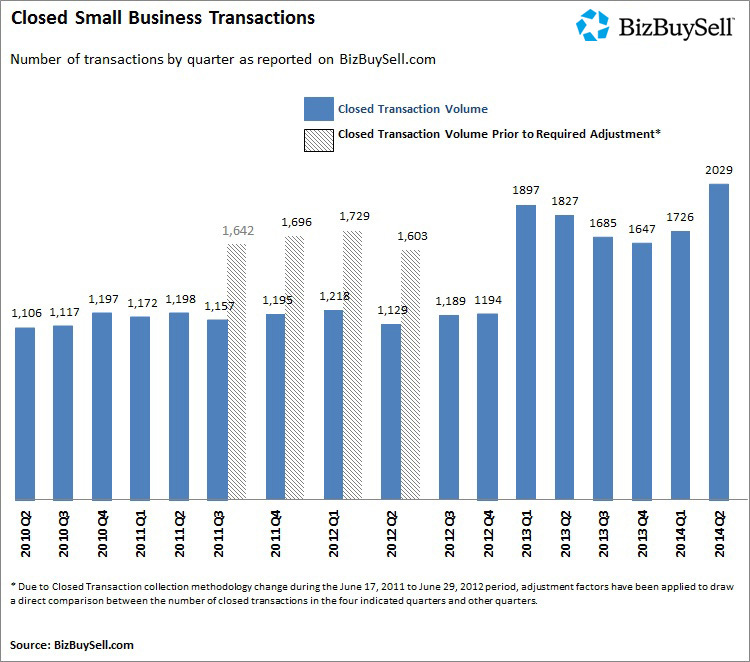 -A rise in transaction levels can be directly attributed to small businesses performing better financially. In our own practice, after a relatively slow start to the first half of 2014, we’re seeing robust transaction activity in the second half. We agree with what BizBuySell is reporting. If you’re an owner, it’s the best time in the last six years to seek an exit. We stand ready to assist you in this process.